The world as a whole consumes an estimated 86 million barrels of crude oil per day. Given that there were only about 1.7 billion barrels remaining at the end of 2012, the chances of us running out of oil in the next 50 years or so is very likely. While it is not a guarantee that we will run out of oil, it’s definitely something to think about. For example, what will the future look like without oil? It has the ability to create a massive impact on our energy consumption moving forward. 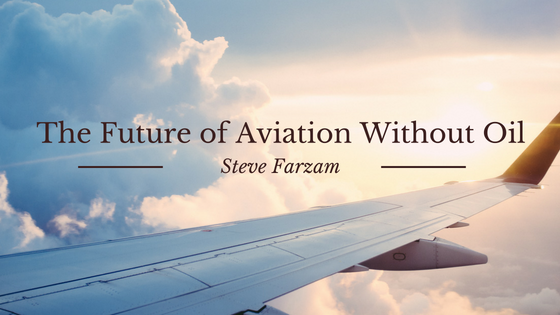 Here, we will take a look at the future of aviation without oil. The notion of running out of oil is not a new concept to aircraft manufacturers; it has been in the back of their mind for quite a few years. The aviation industry is well-aware that changes are coming and how passenger flights as we know it will surely be altered. Manufacturers have attempted the use of hydrogen to power flights, a promised “green” fuel, however, after the devastating inferno that erupted the Hindenburg 70 years ago, it appears there are too many downsides to this oil alternative. While other sustainable outlets are being researched, such as utilizing waste streams and non-edible crops, the future of aviation may just lay in electric aircraft. What with the drive for developing new technologies and encouraging innovation, designing an electric aircraft is not entirely unrealistic. Airbus has already tested an aviation training aircraft dubbed the E-Fan, a fully electrically-powered vessel, at an airshow in April of 2014. In 2015, the E-Fan then successfully took flight and crossed the English Channel. With the advancement of technologies, Airbus has plans for electric aircraft with a target capacity of 60 passengers, which would make it suitable for shorter commuter flights. As with any new development of transportation, there come technical challenges. Once safety and reliability are established with the public, electric aviation can then begin its implementation into commercial airlines.